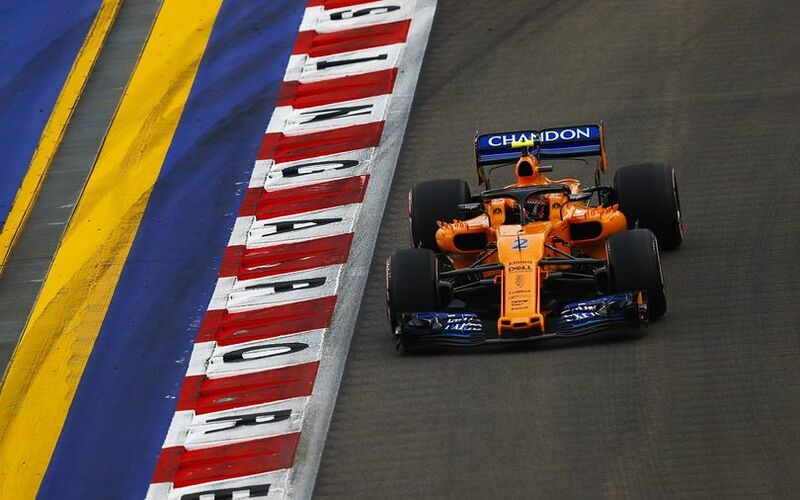 With the European season of the 2018 F1 Championship completed, teams and drivers gathered together in South East Asia this weekend. The artificially-lit Singapore is playing host to its night race for the 11th time. The small country joined the fray in 2008. The first race was awaited with huge interest and also some degree of scepticism as nobody knew back then how a night race under floodlight would unfold. The unique set of challenges made the event on the Marina Bay Circuit one of the toughest faced all season. The heat, humidity and the duration of the race all shape a string of elements which drivers have to withstand. Teams have also do their homework before and during the race weekend. The challenge engineers face centres on ensuring the car have sufficient cooling. The tall builiding means that keeping the temperatures in check constatly requires attention. On top of that, drivers change gears around 80 times during a lap and brake more times than at any other circuit means that the transmission and the brakes are also stretched to the limit. 1. A few alterations were made to the circuit before the weekend. The track has been slightly re-aligned around Turns 16 and 17. This means the track length is marginally reduced, from 5.065km to 5.063km. The track has been resurfaced around Turn 1, between Turns 5 and 7, between Turns 15 and 17 and around Turn 23. 2. There will be two DRS zones in Singapore. The first detection point will be at the exit of Turn Four and the first activation point will be 53m after Turn Five. The second detection point will be 180m before the apex of Turn 22, and the activation point will be 48m after apex of Turn 23. 3. Among the race stewards are Dr Gerd Ennser, Steve Chopping and Derek Warwick. 4. Today’s Singapore Grand Prix will be the 11th edition of the event. Races have been held every year since 2008. 5. Sebastian Vettel is the most successful driver around the 5.063m long track. Lewis Hamilton is the second on this list with three triumphs, one for McLaren and two for Mercedes. Fernando Alonso is the only two-time winner at Singapore with a win for Renault and another one for Ferrari. Nico Rosberg has also won around the Marina Bay Circuit, the German clinched the victory in 2015 with Mercedes. 6. There have been two support series over the weekend. The Ferrari Challenge and the Porsche Carrera Cup Asia provided the fans with extra race action. 7. Ten years have flown by since the inception of the Singapore Grand Prix and the sport is still waiting for a team which claims a one-two finish as no team has managed to do that yet. 8. The driver on pole position has gone on to win in 70% of the F1 races held at the Marina Bay Street Circuit to date. It means that there are only three Singapore GP victors who did not start the race from the pole position. Vettel won the event from third on the grid in 2012 while Hamilton was victorious last year from fifth on the grid following a heavy start crash between the two Ferraris and Max Verstappen. In this statistics, Fernando Alonso stands out with his shock victory in 2008 when he started from 15th position. 9. Nico Hülkenberg is set to complete the 150th grand prix start of his career this weekend. This championship campaign is the ninth season for the Emmerich-born driver. Hülkenberg started his career at Williams alongside Ruberns Barrichello. He then joined Force India which followed a one-year-long spell at Sauber before rejoining the Silverstone-based outfit. For 2017, he switched to the works Renault team. 10. There has been numerous changes around the circuit. The hospitality suites have been given a fresh new look. There is also an exciting new offering called Twenty3, a 3,000 sqm facility located at the Marina Bay Street Circuit’s final turn that houses a multitude of entertainment options, including three feature restaurants. A new Wharf Stage was established which allows music fans to catch performances at the location.